New Delhi, Dec 27 : Following actor Aamir Khans comments on "intollerance" in November 2015 at an award ceremony, the BJP social media cell organised a campaign to build pressure on Snapdeal to drop Aamir Khan as its brand ambassador, claims an upcoming book, which quotes a former volunteer of BJPs social media team. Written by journalist Swati Chaturvedi "I am a Troll", extensively quotes Sadhavi Khosla, who quit as a volunteer of BJP's social media team at the end of 2015. Khosla has purportedly shared WhatsApp messages sent to her by Arvind Gupta, head of the BJP IT cell, and other WhatsApp groups associated with the team. On November 23, 2015, Aamir Khan, speaking at the Ramnath Goenka Excellence in Journalism Awards ceremony, had said: "Kiran (Kiran Rao) and I have lived all our lives in India. For the first time, she said, should we move out of India?" "That's a disastrous and big statement for Kiran to make to me. She fears for her child. She fears about what the atmosphere around us will be. She feels scared to open the newspapers everyday. That does indicate that there is a sense of growing disquiet." 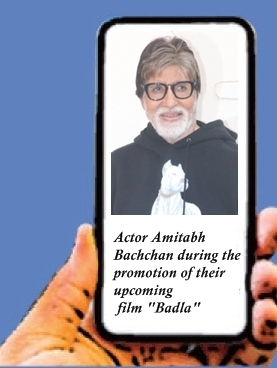 The actor's comments was immediately perceived to be critical of the ruling dispensation under Prime Minister Narendra Modi and caused a massive backlash for the actor from a group of social media users. The actor was soon dropped from the Ministry of Tourism's "Incredible India" campaign. In the light of these remarks, Khosla has been quoted in the book as claiming that the BJP social media cell organised a campaign to get Khan removed as the brand ambassador of Snapdeal. In this regard, the whistleblower has also shared messages she claims were sent to her from Arvind Gupta, head of the BJP IT cell. "Arvind Gupta also messaged all the party's social media volunteers directing them to endorse a petition addressed to Snapdeal asking Khan to be dropped from their advertisements. "After facing the wrath of BJP supporters, who downgraded the Snapdeal app on Google Play and the iOS App Store on orders from Gupta, Snapdeal terminated its contract with Khan," Chaturvedi writes. The whistleblower is quoted in the book saying: "The campaign against Aamir was the last nail in the coffin for my association with the BJP and forced me to part ways with a party and PM I had passionately supported. "The poisonous campaign launched by the BJP's social media team proved Aamir's point on intolerance", Khosla says in the book. The book also claims that the volunteers and employees of the BJP's social media team "were given a ‘hit list' of mainstream journalists who needed to be constantly attacked". Arvind Gupta has reportedly rejected Khosla's claims, saying she "supports the Congress" and "has all reasons to publish unsubstantiated claims". Published by Juggernaut, the offering is available in bookstores and can be downloaded from www.juggernaut.in.